Amphenol offers a complete range of high-performance BNC plugs for use in digital/HD video applications. 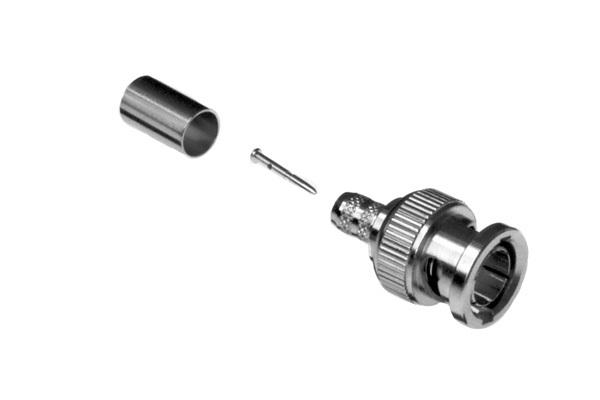 Amphenol’s True 75 Ohm BNC connectors perform well up to and beyond 3GHz and are designed to terminate to a variety of popular coaxial cable types. We can also offer custom connectors to suit non-standard cables on request. Plugs feature a precision machined brass body and coupling nut plated with cost effective nickel plating. Amphenol manufactures a large range of connectors to suit cables other than those listed below, for example Belden YR23769 and 46899, please contact us to discuss your specific requirements. The complete Amphenol Connex catalogue featuring a wide range of RF connector products is available on request. Item code CAT-CONNEX-01.